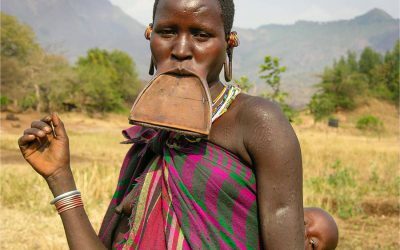 The Hamer people are primarily pastoralists who occupy the land southeast of the Mago National Park and beyond, stretching into the Murle Controlled Hunting Area. 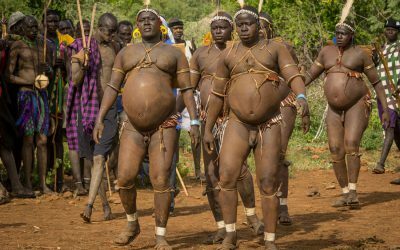 The Hammer territory also stretches from the lower Omo region in the west to Chew Bahir in the east, and from near the Kenyan border in the south all the way to the territory of the Benna. 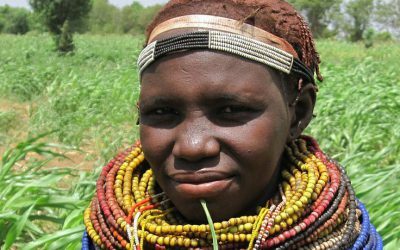 The Hamer people are a large group of agro-pastoralists with a population of over 45,000. 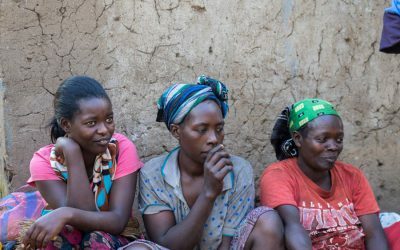 The main source of their subsistence is the cultivation of sorghum, millet, vegetables, tobacco, cotton and the herding of cattle, sheep and goat. They also gather wild honey. 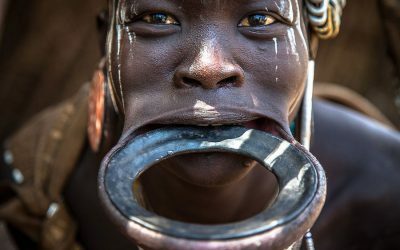 The Hamer people are fine potters; additionally they take part in body decoration ceremonies wherein they adorn themselves with many beads. 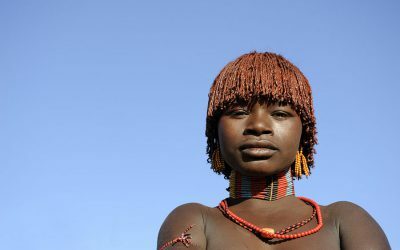 Hammer girls are known for their extravagant hairstyles, often adorning their hair with bright copper colored powders, and for the decorated goatskins that they wear, and the Women too adorning their necks with heavy polished iron jewelry. Hamer society consists of a complex system of age groups. Moving from one age group to another involves complicated rituals. 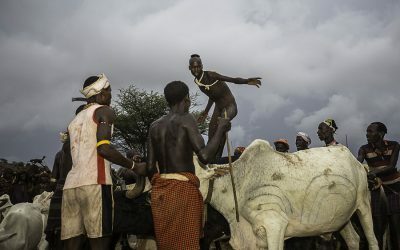 The most significant ceremony for young men is the “jumping of the bull” – the final test before passing in to adulthood.